Most lovers of gourmet cuisine know the restaurant of Michel Bras situated on the beautiful Aubrac plateau. 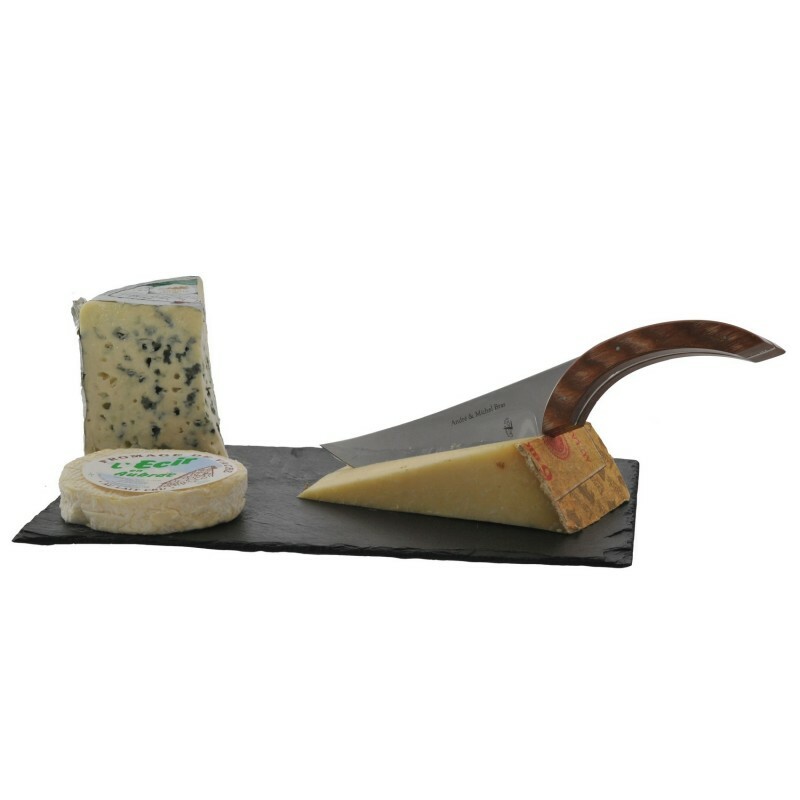 Together with his brother, André Bras, and Forge de Laguiole he designed this new cheese knife in order to optimize functionality. The shape of the handle ensures that the knife balances perfectly on the table. 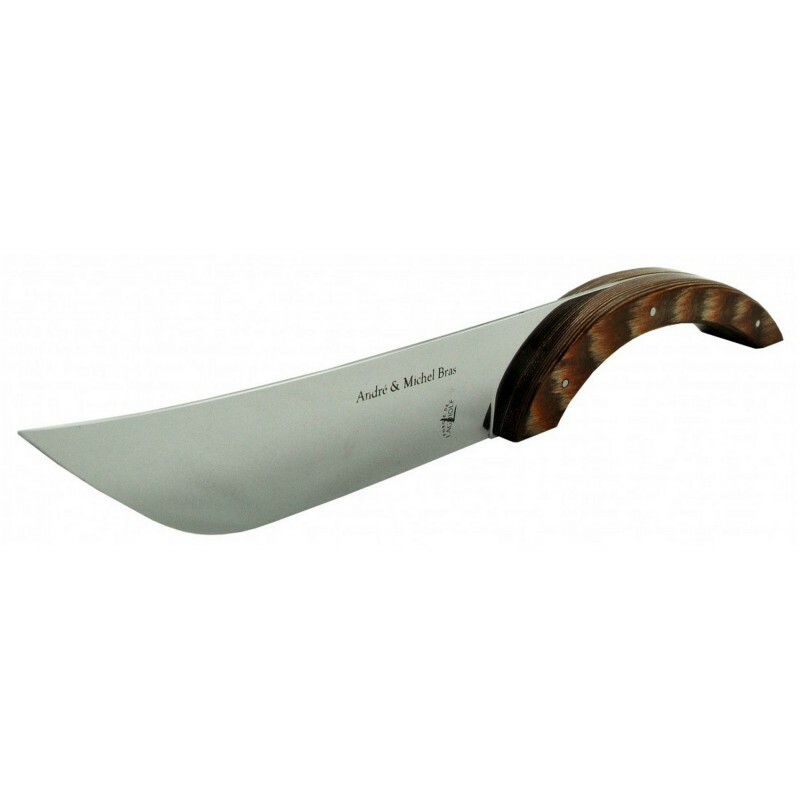 The surface and the design of the blade ensure a precise cut. 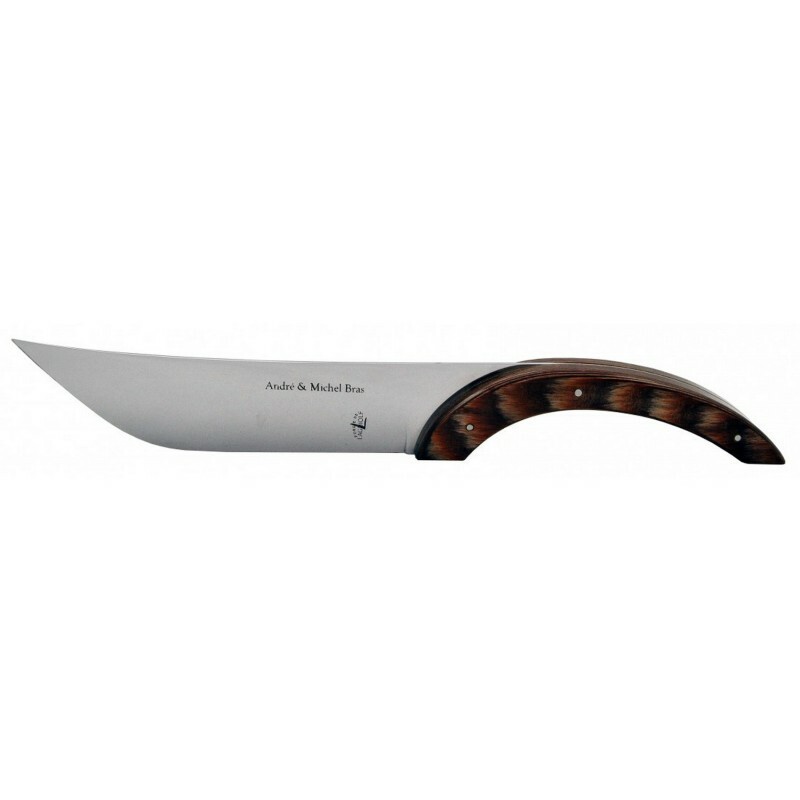 Initially designed to cut Roquefort this Bras/Forge de Laguiole cheese knife is ideal for all kinds of soft, crumbly cheeses. Also perfect to cut all kind of pies.